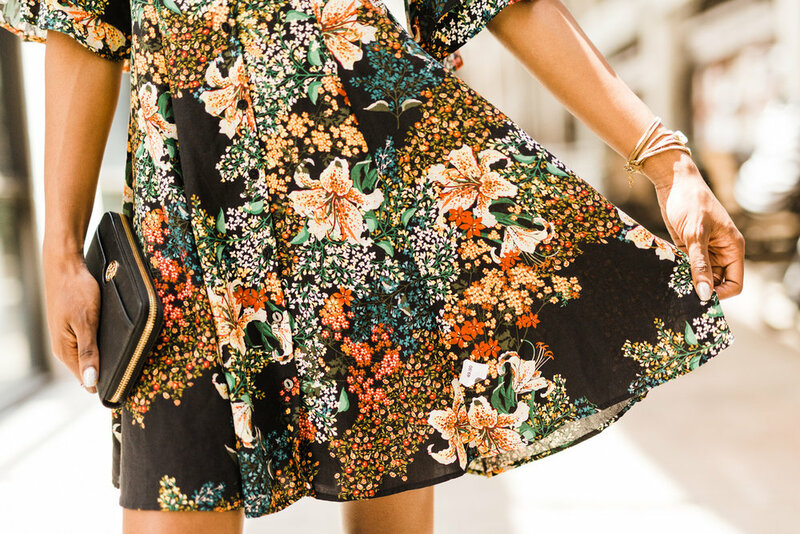 Florals are so fun for the summer especially with something as easy as a dress! The entire just "throw on and go" aspect of dresses is amazingggg. I mixed this dress with the perf summer boot: navy blue suede with a fun chunk heel. Bracelet: AHHHH I don't remember her name lol but it's handmade!